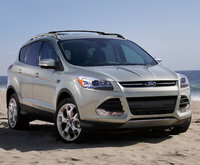 Ford definitely had a better idea with its popular Edge midsize crossover SUV. And after a few small improvements for the 2013 model year, this 5-passenger mainstream mini-ute enters 2014 virtually unchanged. Said tweaks last year included some shuffling of standard features, while the base SE trim gained the optional all-wheel-drive (AWD) garb. Thus all trims have access to the available full-time AWD configuration, though each still comes in standard front-wheel-drive (FWD) form. Also, passenger room remains better than average, while cargo-toting space in each Edge iteration returns at a respectable 68.9 cubic feet with the rear seatbacks folded. Trims also stand pat for 2014 Edge offerings, starting with the entry-level SE and progressing through the up-featured SEL, the almost-posh Limited and culminating in the plush and performance-driven Sport. All 2014 Edge variants also return sporting traditional good looks, capable handling and highway-challenging power, along with a slew of techno-goodies anchored by the capable Sync infotainment feature. Alas, the MyFord Touch system stashed in the higher Edge variants is noted by most reviewers to need further refinement to make it a bit more user-friendly. 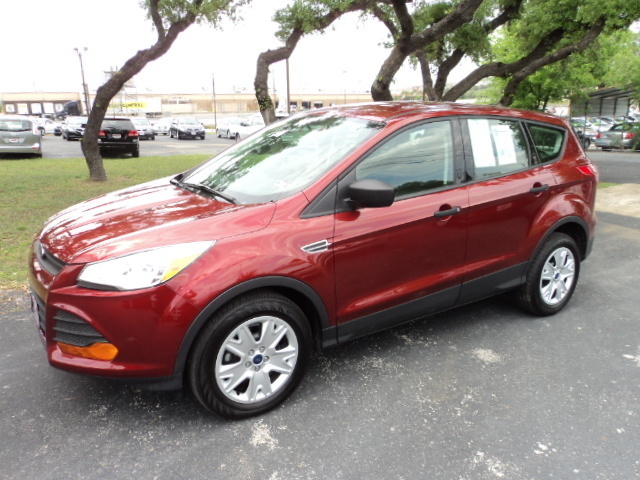 Nevertheless, the 2014 editions of this capable Ford crossover boast, depending on the trim chosen, 17-, 18-, or 22-inch alloy wheels, a rear spoiler and heated power-adjustable mirrors outside, with cloth or leather upholstery, reclining rear seats, power door locks and windows, and air conditioning or dual-zone climate control adorning the cabin. Additionally, all trims boast cruise control and telescoping tilt-wheel steering, not to mention the standard single-CD player with 6 speakers and auxiliary audio input that grace the SE and SEL variations. Higher trims, meanwhile, sport such added bells and whistles as standard Sync infotainment, Bluetooth hands-free calling, plush leather and simulated alloy cabin accents, heated power-adjustable front seats, satellite radio and rear parking sensors. The high-end Limited and Sport, furthermore, throw in standard memory for driver's settings, a remote garage door opener, a rear-view camera, heated front seats and a 12-speaker, 390-watt Sony audio system, with the Sport additionally toting a performance-tuned suspension as well as a fold-flat front passenger seat. Options for the 2014 Edge lineup again include a panoramic sunroof, rear-seat DVD entertainment, a navigation suite with 8-inch touchscreen, blind-spot monitoring, a power liftgate, remote engine start and adaptive cruise control with forward collision alert. Lower trims, of course, also get many of the features found standard on higher trims as optional equipment, and many available features are once again found in either standalone form or in various packages. Again for 2014, the Edge offers a choice of three powerplants, starting with the standard (in all but the Sport trim) 3.5-liter V6 that puts out 285 hp and 253 lb-ft of torque under the management of the traditional 6-speed shiftable automatic transmission. Look for mileage figures to remain 19 mpg city/27 highway in FWD trims and 18/25 in AWD versions. Optional in all trims except the Sport is a turbocharged 2.0-liter inline 4-cylinder powerplant that throws out 240 hp and 270 lb-ft of torque as it also pairs with the ubiquitous 6-speed shiftable automatic. No AWD option is available to those trims carrying this blown 4-banger, thus gas mileage is a singularly impressive 21/30 burning recommended premium gasoline. Finally, the top-shelf Sport carries a standard 3.7-liter normally aspirated engine that again combines with the 6-speed shiftable automatic to toss down 305 hp and 280 lb-ft of torque. Mileage in FWD variants of the Sport remains 19/26, with AWD editions burdened by a tepid 17/23. In one test, a Sport boasting this peppy V6 scooted from 0-60 in an impressive 7.5 seconds. By the way, properly equipped with an available tow hitch and wiring package that also boasts trailer sway control, the SEL and Limited trims with the standard V6 powerplant can haul up to 3,500 pounds of trailer. Standard safety equipment aboard each variant of the 2014 Edge, meanwhile, includes 4-wheel antilock brakes (ABS), traction and stability control, front side-mounted airbags and full-length side curtain airbags. A post-collision safety system and Ford’s touted MyKey programmable speed and audio limiting system also comes standard trim-wide, while the SEL and higher trims sport standard Sync-interfaced emergency assistance with airbag deployment notification. The Limited and Sport trims, of course, additionally flaunt standard dusk-sensing headlights. 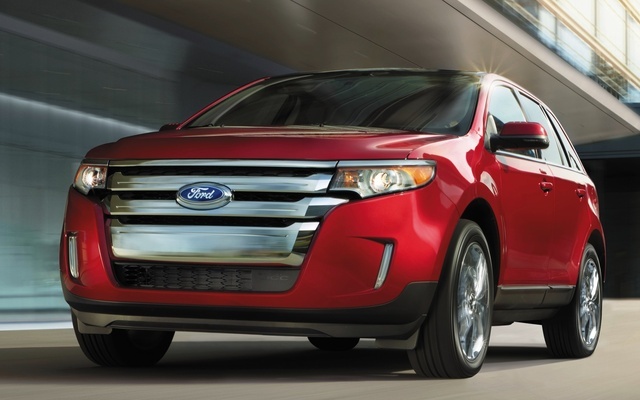 What's your take on the 2014 Ford Edge? Users ranked 2014 Ford Edge against other cars which they drove/owned. Each ranking was based on 9 categories. Here is the summary of top rankings. Have you driven a 2014 Ford Edge? Problem with rust on lift gate lower inside edge?